me: "I'm so excited about your Christmas present!" sis: "Come on, I'll tell you what I got you!" I think we've just made it apart of our Christmas traditions. But back to gift wrap. Back then, gift wrap was simple. Just wrapping paper and a tag made from folded pieces of wrapping paper. I remember as we got older, my dad would buy the "real" gift tags from the store. And then there was the year that he came home with a bag of multi-colored bows. I thought I was in heaven getting to match the bows with the wrapping paper. Now that I am all grown-up and starting traditions of my own, bow matching, ribbon tying and all that is involved makes me just as giddy and excited as it did then. 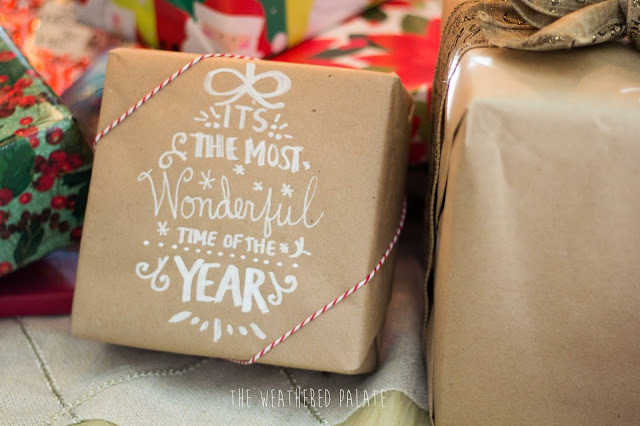 Last year, I kept it simple by wrapping in butcher paper I bought at the Dollar Tree. 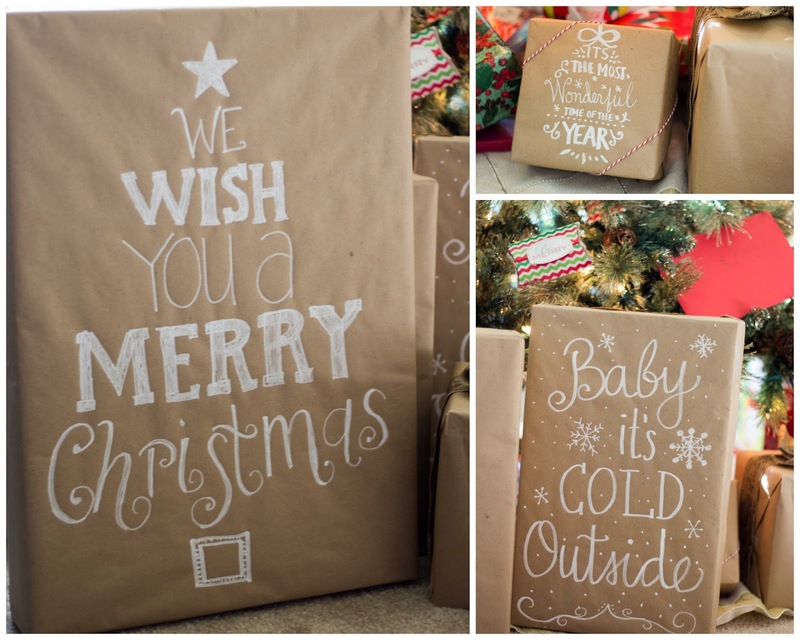 I Googled my favorite Christmas chalkboard printables and then duplicated it on the wrapping paper with a chalkboard marker. 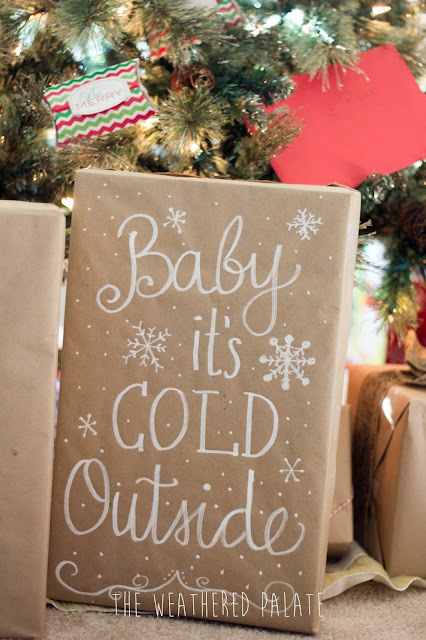 This year, I dressed up my gift wrap a little more. 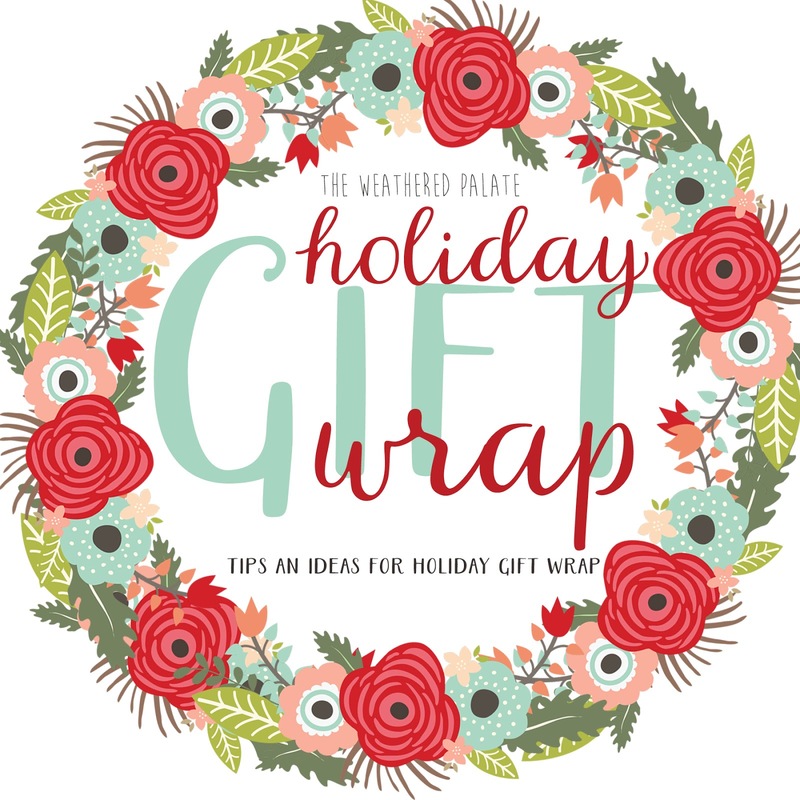 For this year's Holiday Extravaganza at church, I was in charge of gift-wrap so I came up with what I think is some pretty spectacular gift wrap ideas and tips to share. These are easy and simple ideas that anyone can do, which is one reason why I love them so much. You didn't have to spend lavish amounts of money to dress up a gift. I most certainly do not! But first, let's talk about this tree set-up. It's a mini 3-4 foot tree that I set on top of two produce crates. I covered the crates with a few pieces of burlap and then covered the base of the tree with fabric garland. I loved having the tree set on crates. It allowed more room for gifts to be displayed and was the perfect place to put smaller gifts that are otherwise hidden. I am in love with this Christmas tree garland from Hobby Lobby. At 50% off, I couldn't resist and I'm glad I didn't! I'm probably gonna need some more. I found all of my tags on Pinterest! I've shared my board below so you can snag them for yourself! This one is probably one of my favorites. I love the gold berries against the gold polka dot background. If you haven't noticed already, I used a lot of tulle this year! I've never really been a fan of tulle until I went fabric shopping with a good friend of mine. Now, I can't get enough. 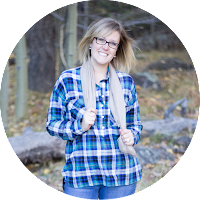 My husband will probably never want to see tulle, glitter or gold polka dots ever again! I used a Silhouette to make this Christmas tree using a Christmas tree font. 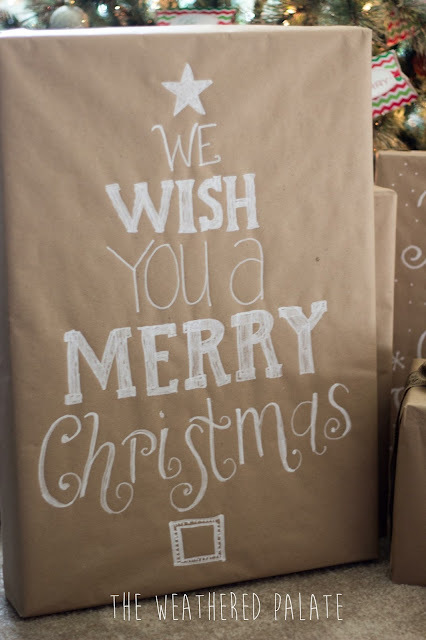 But if you don't have a Silhouette, you can still print the Christmas tree out on cardstock and make a template. After I used these boxes for the event, I brought them back home to decorate. I have them displayed with other Christmas decorations around the house. Such an easy and inexpensive way to add Christmas to your home! 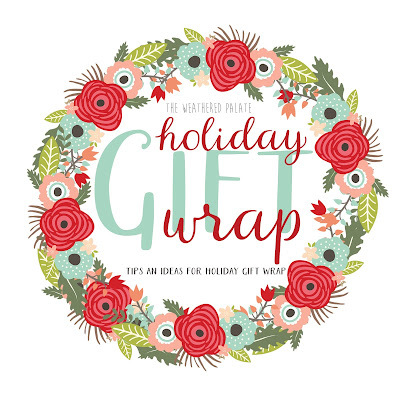 For printables and more gift wrap ideas, check out my Christmas Pinterest Board! 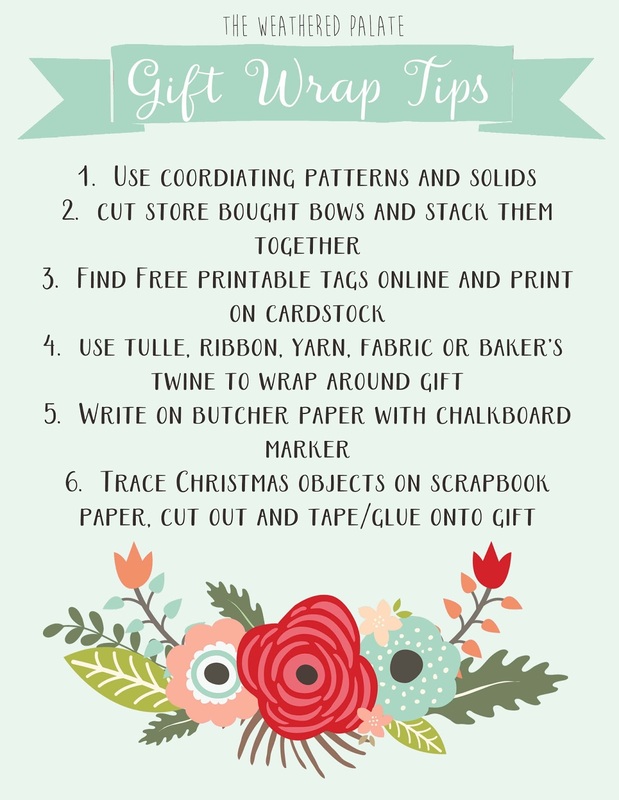 I hope you found some gift wrap inspiration! 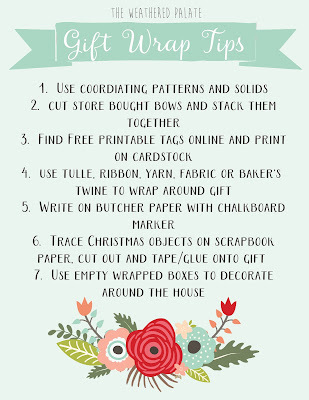 Use these tips and ideas for any occasion! 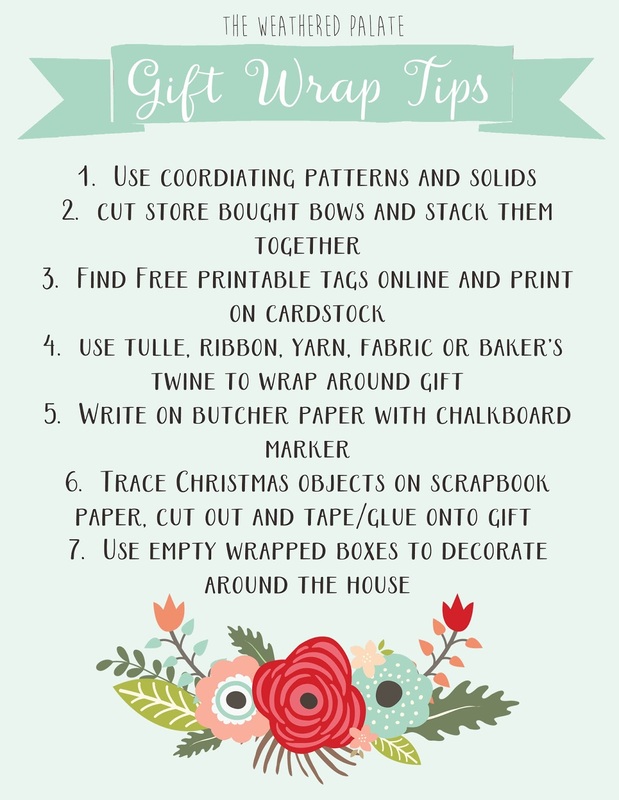 When planning your gift wrap, don't forget this easy tips! How do you make fabric garland? It's gorgeous.